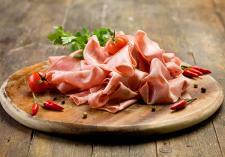 Our hometown style cold deli boasts quality selections of ham, turkey, and bologna sliced to order. Try some of our Hispanic favorites such as seasoned and marinated meats (beef, chicken and pork) all of which are perfect for making fajitas or tacos. Our fresh made “in-store” chorizo will spice up any meal and help get your day off to a great start! All that authentic spice got your taste buds zinging? Cool it all down with cremas and quesos frescos located conveniently in the deli.